No, not everything we offer is as HIGH END like this. When we see something of the best quality for the date and grade that we consider special, that is what we buy. This coin we owned, then put it in a Legend auction where it had sold to a collector/investor. The individuals attention has now been captured by another area. hence this magnificent HIGH END piece is now for sale. Amazing surfaces are remarkably clean overall. Only using a really strong glass and looking around can you find microscopic ticks or small line. This is not a hacked up coin. The surfaces are also BOTH semi prooflike (original-not washed out) and are strongly lustrous. Plenty of “original skin” is left with glowing totally original color. Both sides are a heart pounding mix of deep yellow gold and bold orange gold (kind of reddish looking) colors. Miss Liberty and every detail is thickly frosted and have crisp stand out full strikes. The eye appeal is mesmerizing! 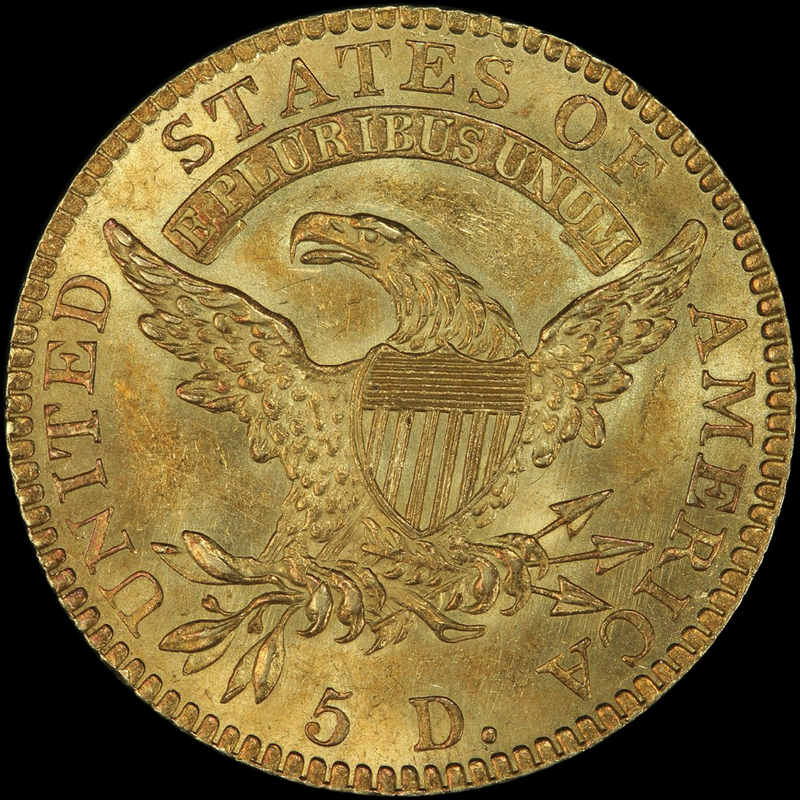 PCGS 16, NGC 1, CAC 5. PCGS has graded 13 coins higher (only 7 are CAC). 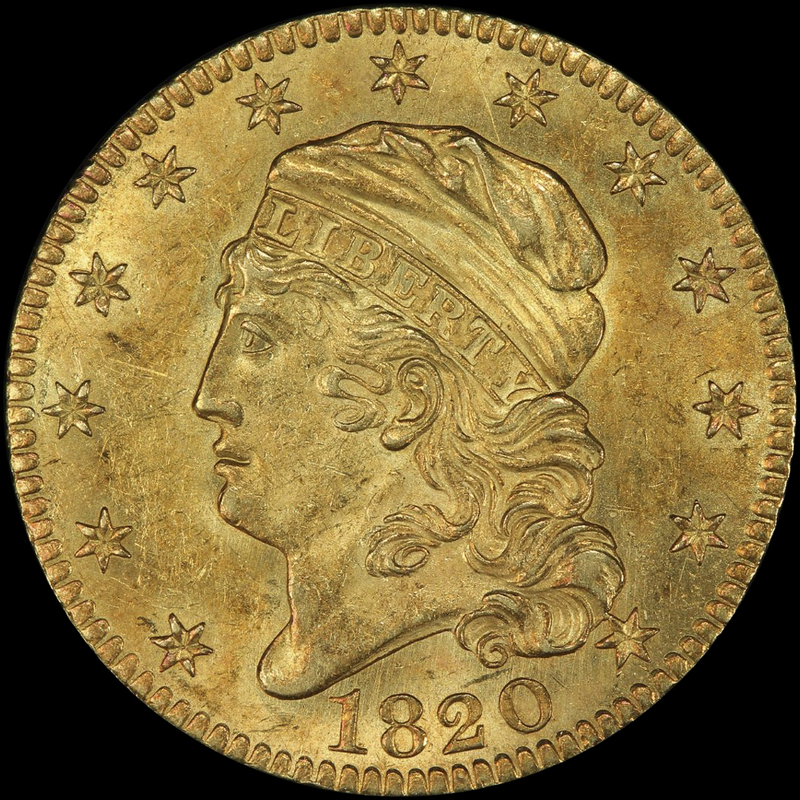 This coin was purchased from our 09/2018 auction for $47,000.00. Prior to that it was last in auction 2014 where it realized $49,350.00. Use those numbers only as a guide-as Early Gold like this sells based upon the quality of each coin. As we said, this is a gorgeous HIGH END piece! We can’t stress enough just how gorgeous this 198 year old coin is.